A solid foundation is what keeps your house from toppling over, or collapsing in on itself. The foundation bears the load of what you build atop it, making sure everything is safe and sound for years to come. If you build a house, but don’t build a solid foundation, it’s just a matter of time before things come crumbling down. When you think about it, foundational link building isn’t all that different than building a foundation for a house. Foundational link building as the core of your SEO strategies is what’s needed to build a lifetime of marketing success. How can you be sure you’re building a foundation for success when it comes to link building? There isn’t a specific definition of what a foundational link is. Think of them as any links that a business would naturally get. It makes sense for a business to have a Twitter account, or at least a LinkedIn page, if your business is just not that social. It also makes sense to get links from the BBB, or maybe your local chamber of commerce. Does it make sense for your business to be linked to from that website? If so, it’s probably a foundational link. An absolutely integral part of SEO success lies with the link profile of your site. The link profile is exactly as it sounds; a profile from all across the web of which sites are linking to yours. It’s important for your link profile to be robust, natural, and diverse. You want all sorts of links, both DoFollow and NoFollow. In order to start growing a great link profile, start with foundational links. Begin by building as many business and social profiles as possible. 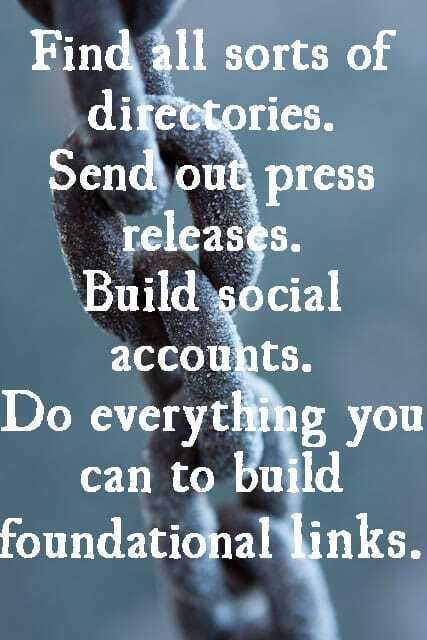 Accounts on sites like Twitter, Instagram, Facebook, and more will all build a variety of foundational links to grow your link profile. Doing so will also allow you to begin gaining followers and connections on these sites. Additionally, you wouldn’t want someone else to claim Twitter.com/YOURBRAND and squat on it, or worse yet put out communications that are harmful to your business. It’s important to own your brand across as many profile sites as you can. Local and niche directories should also be a starting point for foundational links. Local directories like Yelp, Yellowpages, Google Local, and more will allow you to create free profiles, which will help establish your business and website. You’ll also want these valuable citations of your brand, as well as your name, address, and phone number, consistent across the Web. It will help you rank for more local searches. Niche directories are industry specific directories which are also a great starting point. Look online for national organizations or associations in your industry, and see if you can build profiles there. Or maybe there’s a forum relevant to your business, where it would make sense to have a profile. Relevant forums can be an excellent place to find clients. National directories, like Manta.com, Business.com, or BOTW.org to name a few offer a great place to build foundational links and establish your business on a national level, in addition to the other local directories. Some of these national directories are free, others are paid, but regardless they’re all a great place to get foundational links, and further establish your business online. Press releases are also a great jump-off point for foundational links. Press release services will distribute your release to hundreds, if not thousands, of outlets. Many of these outlets will link back to your site, adding relevant and authoritative DoFollow and NoFollow links to your site. The variation of links to your link profile you receive by building these foundational links is critical. With a profile full of branded anchor texts, DoFollow and NoFollow links, you’re creating a foundation of success which will benefit your website long term. What to do post foundational link building? Don’t ever stop looking for new places to build foundational links. Always seek out new profiles and directories to publish on. But after you’ve built a solid foundation, it’s probably time to start seeking out additional link building strategies. Once you have a solid foundation, begin looking at guest posting as a link building strategy. Guest posting, explained more in depth here, will let you build extremely strong and authoritative links to your website, using a variety of anchor texts. It’s a proven strategy that’s safe and effective. Other forms of content marketing are also good to approach. Creating a blog on your website, filled with engaging and active content, is a must. Developing a social media plan to promote your business is vital. Doing these and more will ensure the long-term success of your business and website. What if my site isn’t new? If you run a site that is old and don’t have any foundational links, don’t be surprised if your SEO isn’t where you want it to be. Chances are your competitors have built a solid link profile based on foundational links and you’re falling behind! 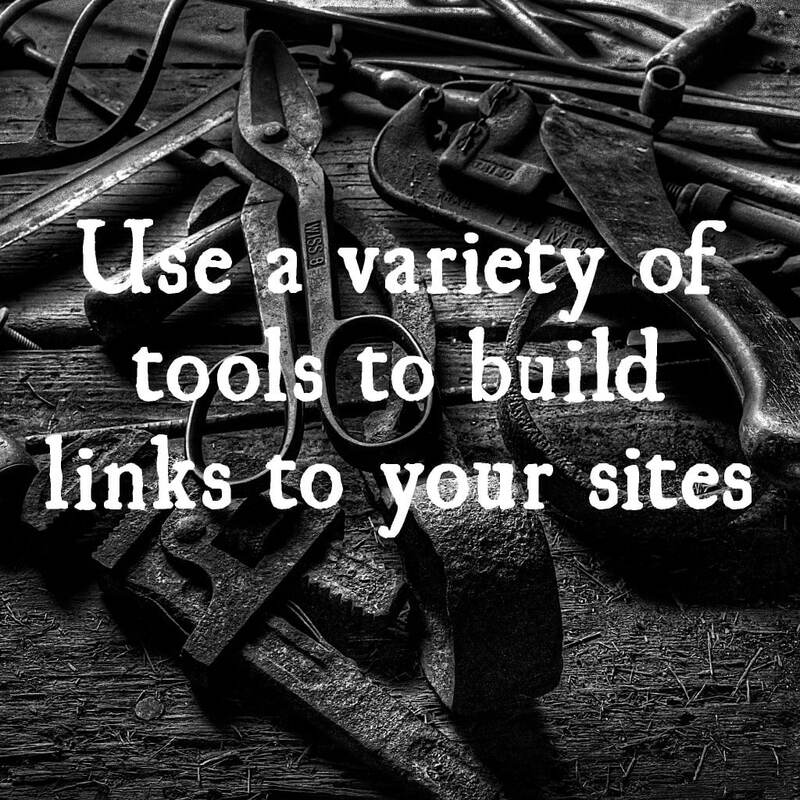 Start building foundational links right away. You don’t need to necessarily do anything different than a new site; just make sure you’re thorough in building these foundational links. Take a look at your competitor’s profile, as that’s a fantastic place to start, and get to building those links as soon as possible!